Former NHL goaltender Ray Emery drowned while swimming in his hometown of Hamilton, Ontario, on Sunday. He was 35. According to the Hamilton Police Department, Emery was reported missing just after 6 a.m. Sunday in Hamilton Harbour, which is on the western tip of Lake Ontario. His body was recovered in proximity to where he was last seen later in the afternoon, police said. The cause of death will be confirmed following an examination. Emery was an Ottawa Senators fourth-round draft pick in 2001. Over 11 NHL seasons, he played for the Senators, Philadelphia Flyers, Anaheim Ducks and Chicago Blackhawks. Nicknamed “Razor” for his aggressive style, Emery helped the Senators to the Stanley Cup Final in 2007 and won a Stanley Cup with the Blackhawks in 2013 as a backup to Corey Crawford. Emery last played in the NHL in the 2014-15 season for the Flyers, though he played one more professional season in the American Hockey League and in Germany’s DEL. He had a career NHL record of 145-86-28 with 16 shutouts and a 2.70 goals-against average. Emery battled avascular necrosis, the same serious hip ailment that ended two-sport star Bo Jackson’s career. Emery played in Zac Rinaldo’s charity hockey game Saturday night in Hamilton. Emery dealt with off-ice problems throughout his career, including an incident of road rage, assault of a trainer in Russia and behavior that led to him being sent home from Ottawa’s training camp. Emery spent a total of seven seasons in the Senators organization. With Ottawa, he sometimes found himself in hot water, including the day he missed a team flight. Another time he fought his pal, Brian McGrattan, during practice. Congrats to the Pittsburgh Penguins, 2016 Stanley Cup Champions!!! Jujhar “J. J.” Khaira (born August 13, 1994) is a Canadian professional ice hockey Center currently playing for the Edmonton Oilers of the National Hockey League (NHL). 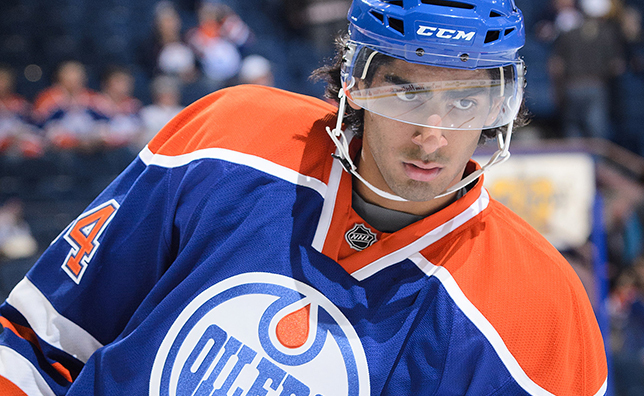 Khaira was drafted 63rd overall by the Oilers in the 2012 NHL Entry Draft. Khaira is just the third Punjabi player to appear in the NHL, after making his NHL debut against the Pittsburgh Penguins on November 28, 2015, he also became the third player of South Asian descent to play in the NHL, after Robin Bawa, and Manny Malhotra. After two seasons in the British Columbia Hockey League with the Prince George Spruce Kings Khaira and after he was drafted by the Oilers, Khaira committed to play collegiate hockey with Michigan Tech of the Western Collegiate Hockey Association. At the completion of his freshman season in 2012–13 with Huskies, Khaira left college to pursue a major junior career closer to home in the Western Hockey League with the Everett Silvertips. On August 7, 2013, he was signed to a three-year entry-level contract with the Edmonton Oilers. In the following 2013–14 season, Khaira posted 43 points in 59 games with the Silvertips. At the elimination in first-round of the post-season, Khaira then made his professional debut with the Oilers AHL affiliate, the Oklahoma City Barons, joining the club for their post-season run. He suited up for the Oilers playing on a line with Anton Lander and Matt Hendricks. Robin Bawa and Manny Malhotra are the other two Punjabi players to have played in the NHL. Bawa played 61 games in four seasons, including 42 with the 1992-93 San Jose Sharks. Malhotra had a storied 991-game career and is currently a free agent. Sad news to restart posting about hockey after such a long gap. Pittsburgh Penguins forward Pascal Dupuis will no longer play hockey because of a medical condition related to blood clots, Dupuis and the Penguins announced Tuesday. Dupuis felt pain in his chest during a Dec. 1 game against the San Jose Sharks, one of several games he either left early or did not play this season for precautionary reasons. He was cleared and returned to play on back-to-back nights against the Los Angeles Kings and Anaheim Ducks last weekend but said he was already considering retirement. Dupuis was playing this season taking blood thinners. He was diagnosed with blood clots in January 2014 shortly after sustaining torn ligaments in his knee and missed the remainder of the 2014-15 season after a blood clot in his lung was discovered in November. He was cleared to work out and take contact in June 2015. Dupuis spoke about the aftermath of coming out of the game against the Sharks and the mental toll the health concerns took. The Penguins will place Dupuis, 36, on long-term injured reserve and continue to pay his salary. 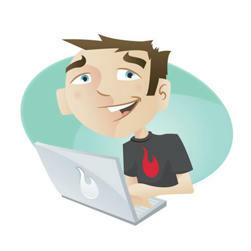 He is in the third year of a four-year contract with an average annual salary of $3.75 million. Dupuis made the NHL as an undrafted player, scoring a goal in his first game for the Minnesota Wild on April 2, 2001. He became a regular with the Wild over the following four-plus seasons, scoring 20 goals and 48 points during the 2002-03 season, when Minnesota reached the Western Conference Final. Dupuis was traded twice during the 2006-07 season, from the Wild to the New York Rangers, and after six games from the Rangers to the Atlanta Thrashers. Dupuis played 79 games with the Thrashers before he was dealt again prior to the 2008 NHL Trade Deadline, this time to the Penguins in a trade that also involved forward Marian Hossa. Dupuis helped Pittsburgh reach the 2008 Stanley Cup Final, where it lost in six games to the Detroit Red Wings, and win the Stanley Cup in 2009 in a seven-game series against Detroit. A frequent linemate of Sidney Crosby during his time with the Penguins, Dupuis set NHL career highs in 2011-12 with 25 goals and 59 points. He averaged 18 goals and 40 points in his first five full seasons in Pittsburgh before his final three seasons were curtailed by injuries and the blood clots. Dupuis finishes with 190 goals and 409 points in 871 regular-season games, and 19 goals and 44 points in 97 Stanley Cup Playoff games. Congratulations to the Chicago Blackhawks who won the 2015 Stanley Cup by beating Tampa Bay 4-2 in the best of 7 series. 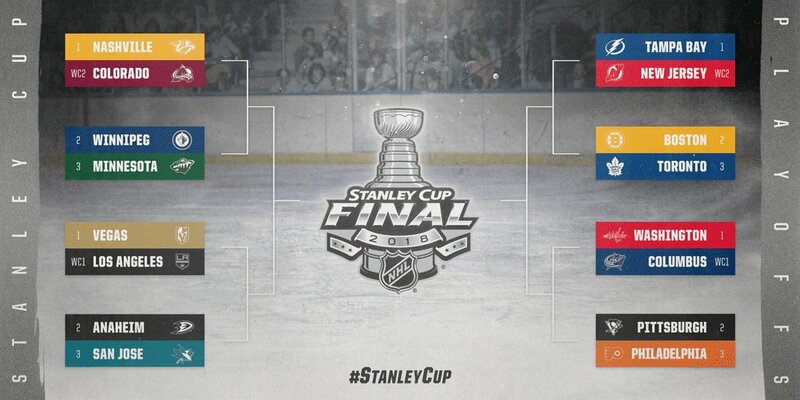 The Blackhawks also won the NHL title in 2010 and 2013. Right, now onto hockey : fighting – get rid of it. Seriously how is this nonsense still tolerated in a classy sport like hockey? It is ridiculous! Also bad hits cialis lilly that can cause serious damage to a player who gets badly injured and even have terrible concussions which can end his career way too early. Make it safer for the talents to shine. Also increase the size of the ice rink and add a player or two. I could be more fun. I would also make the goal size bigger but I might be hunted down by Mounties and thrown in a jail to rot for the rest of my life. Or rather it starts on the 15th of April with the 16 teams who have qualified looking for the ultimate glory on ice. Thi season 5 Canadian teams have made it to the playoffs, finally having enough teams to account for the game usually dominated in numbers by Canadian players. Calgary, Winnipeg, Vancouver, Montreal and Ottawa qualified for the playoffs while Edmonton & Toronto sit on the sidelines. As usual I will be supporting my team the Ottawa Senators and if they get beaten and the Jets are still in it I will be screaming for Winnipeg. Canadian teams all the way. 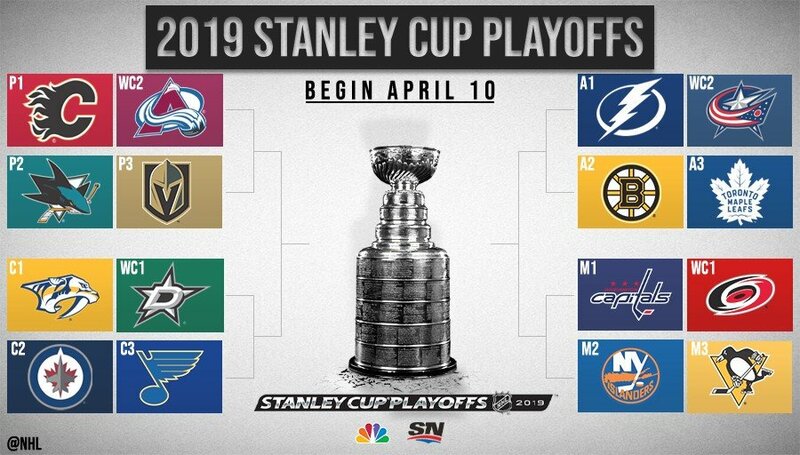 I haven’t watched any live games since 2013 and haven’t even followed the league games this season at all but I will be keeping an eye on the playoffs. GO SENS GO! I Former NHL player Steven Montador was found dead inside his Mississauga home early Sunday morning, according to Peel Regional Police. Police said a female friend woke up at 2 a.m. to find Montador deceased. She contacted police and he was pronounced dead just after 2:30 a.m. at his residence. “Foul play is not suspected, pending the outcome of an autopsy,” said Const. Fiona Thivierge, a Peel police spokesperson. At this time, Thivierge said, the incident is being treated as a sudden death investigation, not a criminal investigation. Born in Vancouver, the 35-year-old began his NHL career with the Calgary Flames in 2001-02. He went on to play defence for a number of NHL teams including the Carolina Panthers, Boston Bruins, Anaheim Ducks, Buffalo Sabres and Chicago Blackhawks. He last played in the NHL during 2011-12 season for Chicago and suffered a season-ending concussion. He went on to play for the American Hockey League’s Rockford Icedogs the next year before moving to the Kontinental Hockey League for the 2013-14 season. On June 28, 2013, the Blackhawks announced Montador would be bought out making him a free agent during the off season. He won the 2000–01 AHL Calder Cup with the Saint John Flames. In 10 NHL seasons, Montador compiled 33 goals and 98 assists for 131 points and 807 penalty minutes. According to news reports from the Canadian capital, the Ottawa Senators are looking to create a soccer (football)-style atmosphere at the Canadian Tire Centre this season. In order to boost the team and regular fans who haven’t had much to cheer in the last few seasons, the Sens are hoping this boisterous loud support will work to their advantage. Section 319 will be cordoned off for the Red Scarf Union – the team’s official fan group – for 10 games this season, according to Chris Hofley of the Ottawa Sun. The “official supporters section” will allow standing, chanting, signage and supporters will be encouraged to generate as much noise (and maybe a little hatred toward the opposing team) as possible. Ottawa may be tip-toeing into the idea, but creativity appears necessary for the Senators; they loans no credit check direct lenders are the only Canadian franchise that has experienced attendance issues over the past few seasons. Well we do need something. With owner Eugene Melnyk unable to pump in enough money to buy or trade for top players who can score goals and letting go of some of our marquee names, the fans need something. Lean years are ahead! Congratulations to the Los Angeles Kings who mounted yet another comeback to defeat the New York Rangers 3-2 and claim their second Stanley Cup in three seasons. Defenceman Alec Martinez scored at 14:43 of double overtime Friday night wristing home a rebound of a Tyler Toffoli shot to seal the Cup. The Kings squandered 3-0 series leads both times en route to hoisting the Cup. But they got the job done in five games — three wins coming via overtime — this time compared to six against New Jersey in 2012. Not the final I wanted to see. It’s Broadway vs LA or Broadway vs Hollywood! 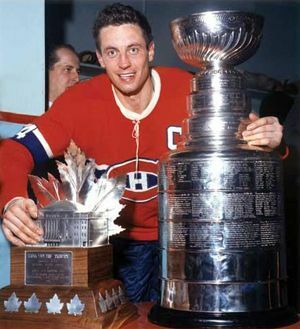 I had hoped for a Chicago vs Montreal final with the Habs winning their first Cup since 1993. 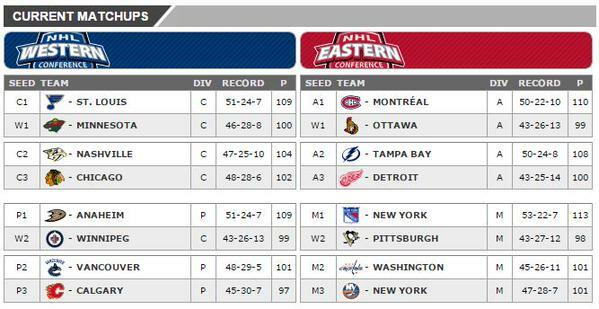 Even a Blackhawks win would have been fine with me if Montreal had not lost to New York. But there its, the two big cities of the United States (yes I know that Chicago is the second biggest city) – Los Angeles vs New York City. Who’s gonna win? Up to 70% consolidated loan calculator off on all women leather jackets.